Now back for round two is the HyperX Alloy FPS’s bigger, badder cousin, the HyperX Alloy Elite Mechanical Gaming Keyboard which we have for review today. While the HyperX Alloy FPS catered towards the mainstream gaming crowd, the HyperX Alloy Elite has a more robust set of features than its sibling targeted towards gamers who want a more premium mechanical keyboard experience than the bare minimum. Does the HyperX Alloy Elite live up to its expectations? Let’s find out! 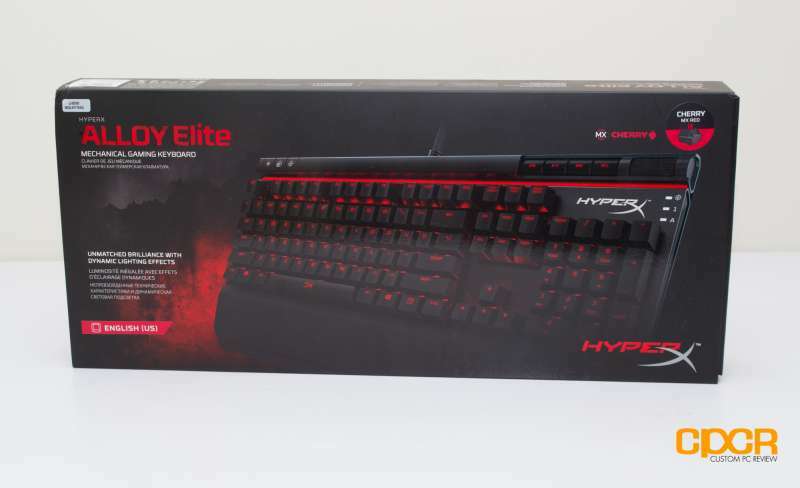 Here’s a look at the packaging for the HyperX Alloy Elite. 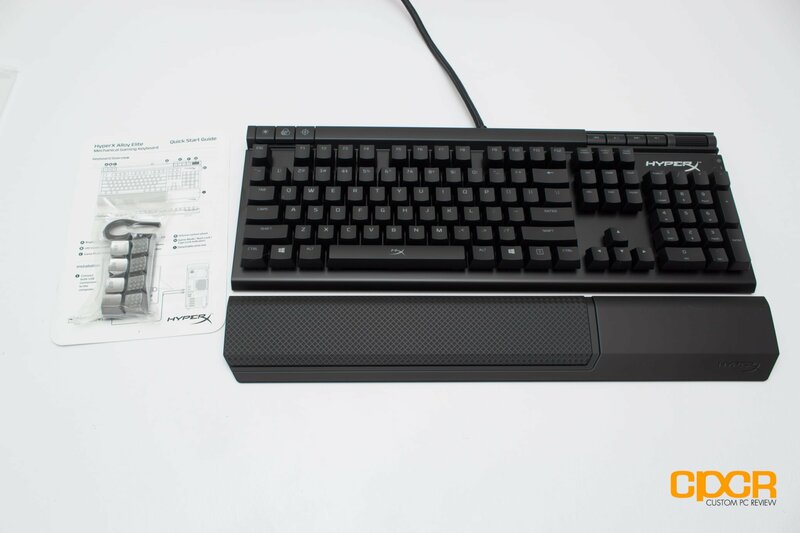 Included in the packaging is some documentation, a set of alternate keycaps, a keycap puller, the HyperX Alloy Elite, and a wrist rest. Here’s a look at the HyperX Alloy Elite. The keyboard retains the caseless look of the original Alloy FPS, including the sweet metal frame, but is slightly larger to accommodate the dedicated LED, media and volume buttons. It’s also slightly thicker and feels a bit more durable as well. 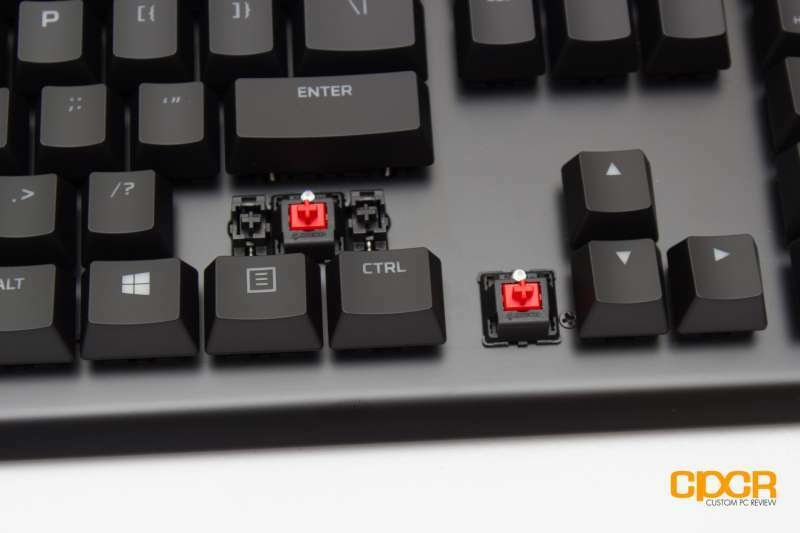 The Kingston HyperX Alloy Elite utilizes tried and true Cherry MX Switches. Our sample came with Cherry MX Red switches, but Cherry MX Blue and Cherry MX Brown versions are also available. 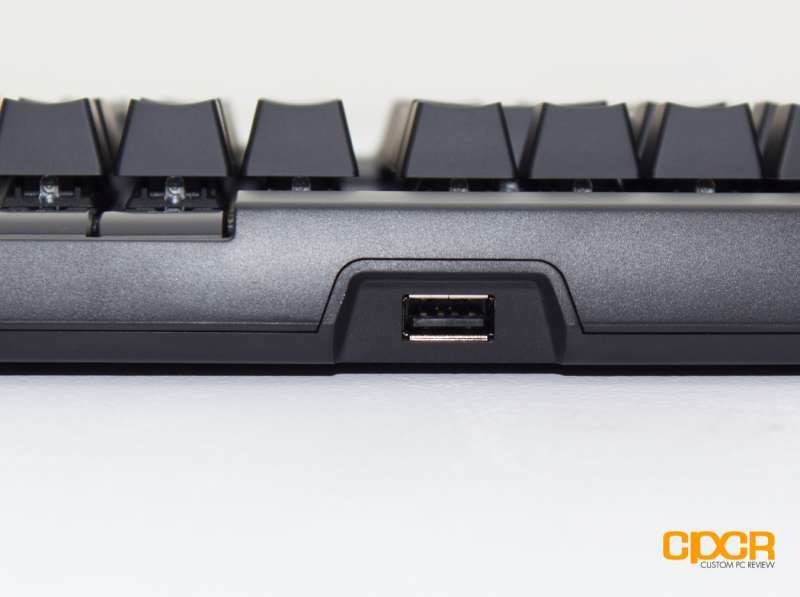 We can also see that the longer keys feature Cherry MX stabilizers. The original HyperX Alloy FPS lacked any sort of special features so it’s nice to see that the Alloy Elite comes with some upgrades. A row of dedicated media controls grace the top right of the Alloy Elite along with a volume wheel. The top left corner is reserved for lighting controls and the game mode button. The game mode button simply disables the windows key to prevent it from being accidentally pressed during gaming. 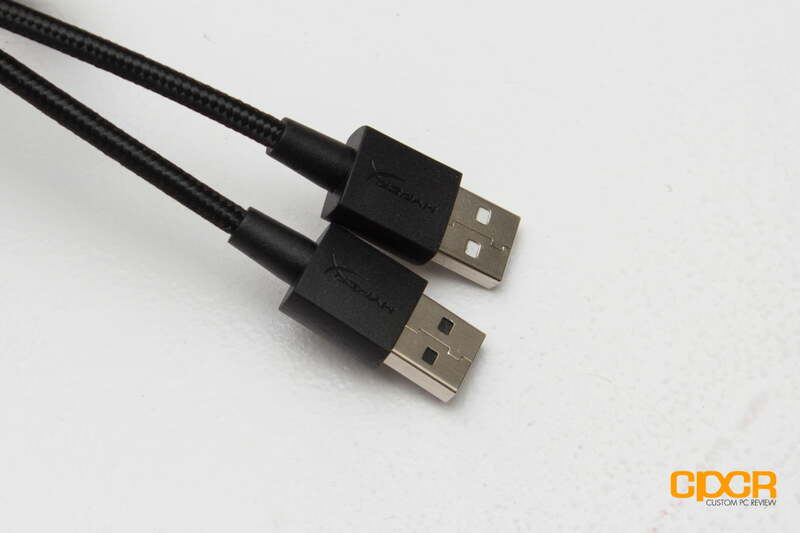 At the front is a USB pass-through. It’s recessed to prevent the plug from sticking out too far. 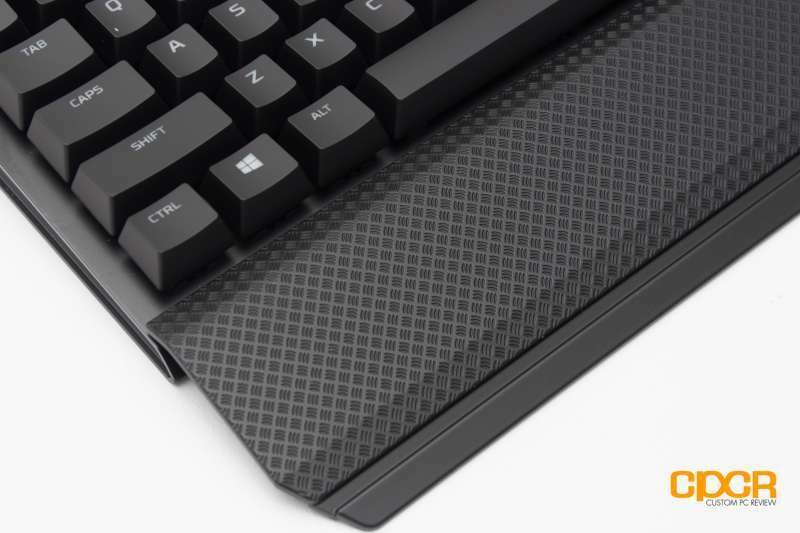 The detachable wrist rest is covered by a matte texture. The wrist rest isn’t rubberized so it can be easily cleaned, but the downside is that it isn’t soft and plushy. I guess hygiene or comfort. Your choice. At the bottom of the keyboard is the usual rubber feet along with two riser feet which raise the rear of the keyboard. Here’s a look at the additional included keycaps and the keypuller. The keycaps here are nothing too special to write home about. Looks to be just standard laser etched keycaps. 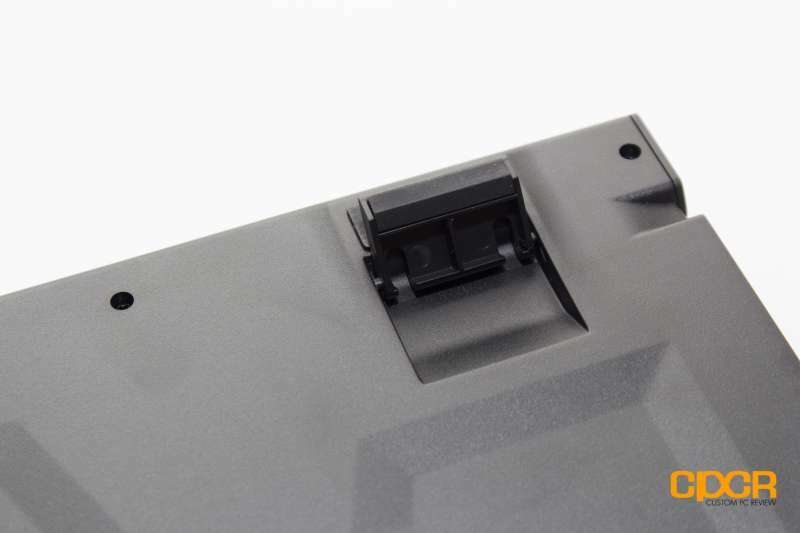 The HyperX Alloy FPS comes with two connectors – one for the keyboard connection itself and one for the USB pass-through. Strange enough, the HyperX Alloy Elite does not feature RGB backlighting and is red LED backlighting only. What is this, 2014? 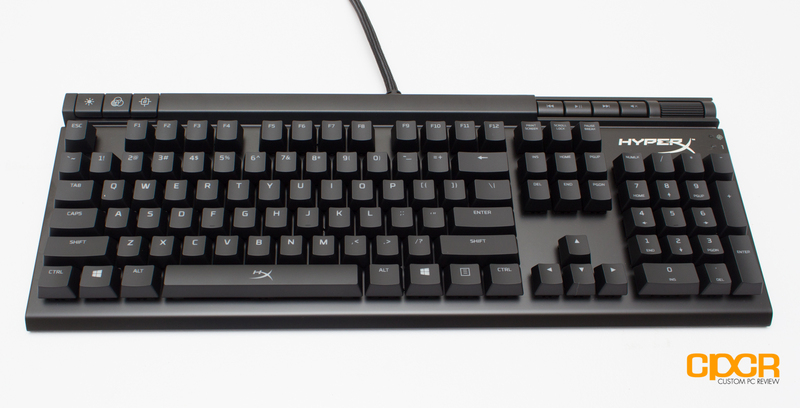 I spent a week with the Kingston HyperX Alloy Elite as my primary keyboard which includes fairly equal proportions of typing and gaming (OK, a bit more gaming, let’s be honest). During testing, the Cherry MX Red switches were as I remembered: silent, responsive, and smooth. The switches were great in gaming where speed is of the utmost importance. In typing and other productivity purposes, there are definitely better options out there, namely the Cherry MX Brown and Cherry MX Blue which have that extra tactile bump. Other features on the Alloy FPS were welcome additions in testing. The playback controls were convenient for listening to music, but what really deserves special mention is the volume wheel which is buttery smooth and very precise. As for the other dedicated keys, I didn’t find much use for the dedicated lighting controls since this is a one color LED keyboard, but it’s nice having a dedicated game mode to just click on and off when it’s needed. 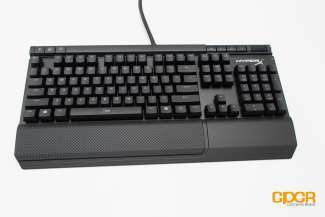 What was a bit disappointing was the Cherry MX stabilizers which are needed to stabilize the longer keys such as the space bar, shift keys, enter key, etc. While some manufacturers have figured out a way to make Cherry MX stabilizers feel quite consistent, the Cherry MX stabilizers in the Alloy Elite produced a more inconsistent feel compared to even the Alloy FPS which uses Costar stabilizers and the keys felt stiffer than the rest of the standard sized keys. To test the NKRO/anti-ghosting functionality of the keyboard, I’ll be using a web app developed by Microsoft’s Applied Science Group. More information about the web app and the relationship between ghosting and NKRO can be found here. During testing, no ghosting issues were present. NKRO capability was fully functional as well. 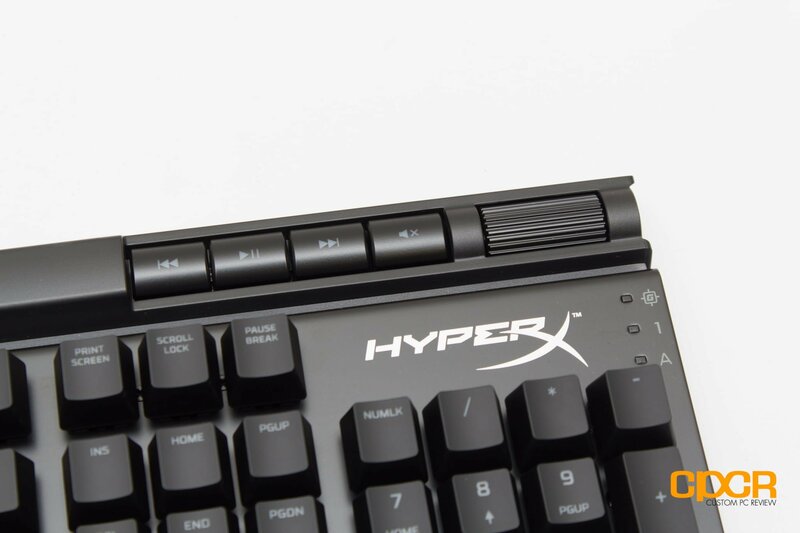 The HyperX Alloy Elite is overall a natural evolution of HyperX’s mechanical keyboard lineup. 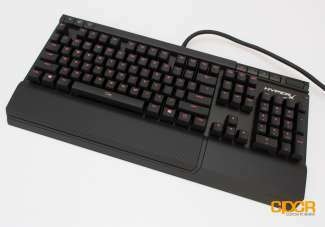 Kingston realized that while eSports gamers want a more back to basics mechanical keyboard, others demand keyboards that offer more functionality, and what HyperX has done is create a keyboard that provides the additional functionality without falling into the trap of designing excessively gaudy keyboards that many keyboard makers seem to think gamers want. The performance of the Alloy FPS for the most part isn’t bad either. You can’t really go wrong with the classic Cherry MX switches and with the option of Cherry MX Red, Cherry MX Blue, or Cherry MX Brown, HyperX has pretty much the entire market covered. 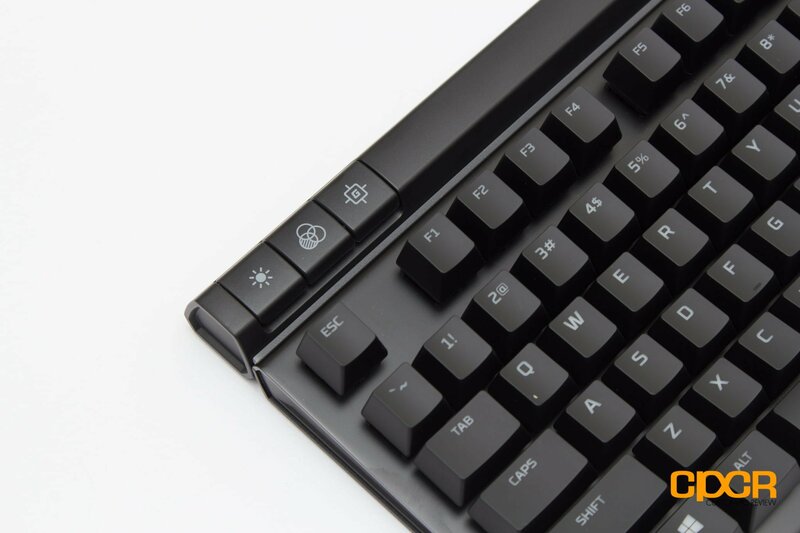 Those who want something fast and twitchy can go for the Cherry MX Red switches, but those who do even a little typing would likely want to stick with the Cherry MX Blues or Cherry MX Browns. A wider switch selection was something we yearned for the last time we reviewed the Kingston HyperX Alloy FPS, and it’s I’m glad to see more switches being offered this time around. The additional convenience features on the HyperX Alloy Elite are greatly appreciated as well. The dedicated media controls means I can change the music or adjust the volume easily while in a game. This was definitely very convenient as it allowed me to easily adjusting volume without fumbling on the headset or alt-tabbing out. Game mode was also quite nice to allow a quick and easy way to disable and re-enable the Windows key. As for lighting controls, I didn’t use it all too often, but it’s there if you need to adjust the LED brightness. On the topic of lighting, it’s strange that the HyperX Alloy Elite still uses single mode red LED backlighting. Sure, it was understandable on the Alloy FPS given its significantly lower pricepoint, but for an “Elite” keyboard launched in 2017, it should provide at least a few LED color options if not the entire RGB spectrum. I’m sure this isn’t a deal breaker for most people, but I personally don’t find red backlighting all that appealing. Additionally, I’m not so impressed with the stabilizers, which felt a little stiffer than the rest of the switches. While I hoped that the stabilizers would break in over time, it doesn’t feel like it loosened up a whole lot either. It’s definitely not uncomfortable to use, but it’s definitely noticeable which is probably a bit more pronounced on the Cherry MX Red switches given the linear actuation. This an especially strange decision considering the Costar stabilizers on the HyperX Alloy FPS were spot on. Overall, with a robust set of features and extras, the Kingston HyperX Alloy Elite is a decent keyboard at $110. 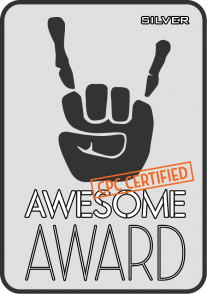 It’s not perfect, but it does nail the three core metrics of performance, usability, and build quality. That said, the mechanical gaming keyboard market is highly competitive and it’s simply too easy to find a good mechanical keyboard. It’s the perfect ones that are hard to come by and the HyperX Alloy Elite just misses the mark.